Photographer Bunny Yeager has died. Notices are here at The Guardian and here at The New York Times. "I was thinking about the state the world was in, being an American-- there's such a mix of positives and negatives,"
You can find the file containing her rendition of the anthem here - worth listening too on Memorial Day. 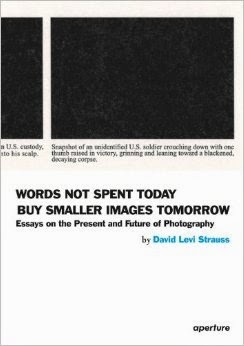 A new book by David Levi Strauss, arguably our best photography critic, is always a noteworthy event. This one is no exception. It contains 25 mostly brief essays discussing a wide range of photographers, critics and events. More to follow. I just wanted to note that the book is due out soon (if it is not out already) . . .
At the BBC you can find this homage to the Leica cameras after 100 years. You have just over a month to catch this exhibition at The Block Museum of Art at Northwestern University. 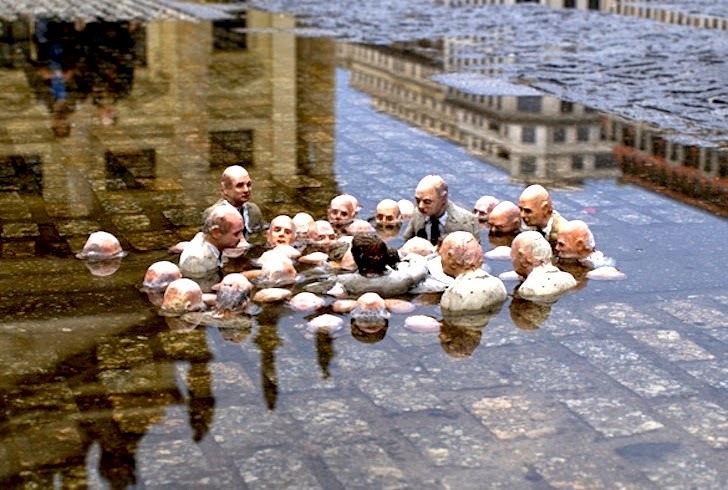 The inimitable Rebecca Solnit here at The Guardian ~ "Call Climate Change What it is - Violence." Photographer Nina Berman here in Columbia Magazine on the infrastructure and point of contemporary photojournalism. An interview with Thomas Piketty here at the Institute for Public Policy Research (UK) and, also at The Guardian, this "manifesto" issued by he and a baker's dozen other French intellectuals defending a basic proposition: "It is time to recognise that Europe's existing institutions are dysfunctional and need to be rebuilt. The central issue is simple: democracy and the public authorities must be enabled to regain control of and effectively regulate 21st century globalised financial capitalism." This is a picture of my boy Jeffrey doing one of the things he loved most, playing lacrosse. Jeff died eight years ago. He was 14. And I often wonder what he'd be like - I hope he'd have turned out as truly wonderful as his older brother Doug has done - or what he'd be up to. He would have been due to graduate college this spring. He'd be turning 21 next month. His friends are growing up, graduating, finding jobs and love out in the world. Some have or will be playing in the NCAA national lacrosse tournament. I wish them best of luck. I have said here often that I miss Jeff every single day. I have many, many photos of Jeff and I cherish his memory. I have my memories. And I have my life. I do not want the former to tyrannize the latter. So, I must say that what appears to be an emerging practice discussed here at The Guardian pretty much horrifies me. I have no wish to see a forensic-like reconstruction from his childhood photos. None. The companies peddling this service are exploiting deep and abiding grief for profit. That makes me want to spit. I highly recommend these two posts at BagNewsNotes  . They dissect the visual evidence surrounding the prosecution of OWS activist Cecily McMillan for allegedly assaulting NYC police officer Grantley Bovell in 2012. McMillan recently was convicted on the charges and faces up to seven years in prison. You can read responses to the verdict here at The Guardian and here at The Nation. 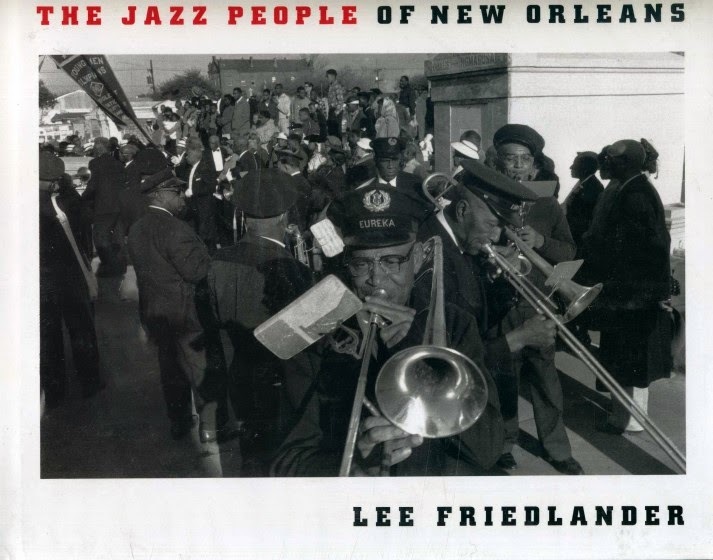 On Lee Friedlander ~ Whatever Happened to Milt Hinton? 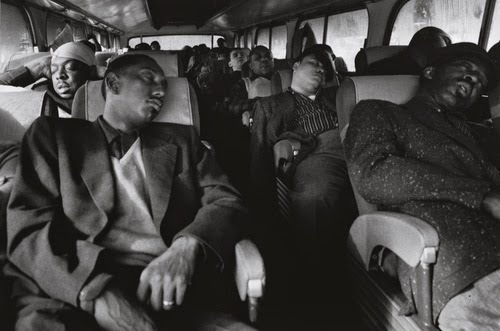 I lifted this image of Lee Friedlander's off the MoMA web page because it reminded me of a review, from 1986, that historian Eric Hobsbawm wrote for the NYRB. 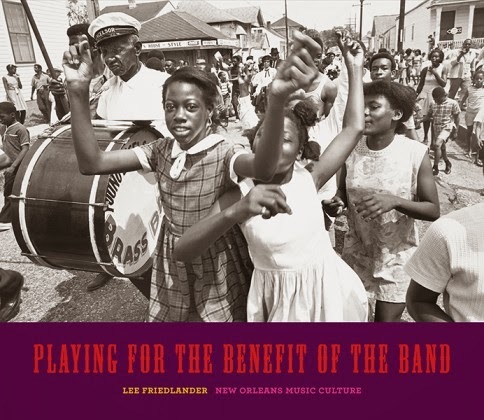 The review discussed Good Morning Blues: The Autobiography of Count Basie (Albert Murray) and The World of Count Basie (Stanley Dance) and was entitled "Playing for Ourselves." The title was excised from a remark Basie's long time drummer Jo Jones made in an interview in the Dance volume. Looking back on the travails black jazz musicians encountered in depression era Kansas City Jones says "We were really behind the iron curtain. There was no chance for us. So there was nothing to do but play for ourselves." What happened to Milt Hinton in all this remains a mystery. It is the same sort of effacement of African American musicians that, as I've noted here before, occurs (among other places) each spring at the Rochester International Jazz Festival. More on that another time. Friedlander’s portraits do not feel celebratory, however. He found authenticity all right, . . . in the toll taken on his subjects by decades of privation and indifference. 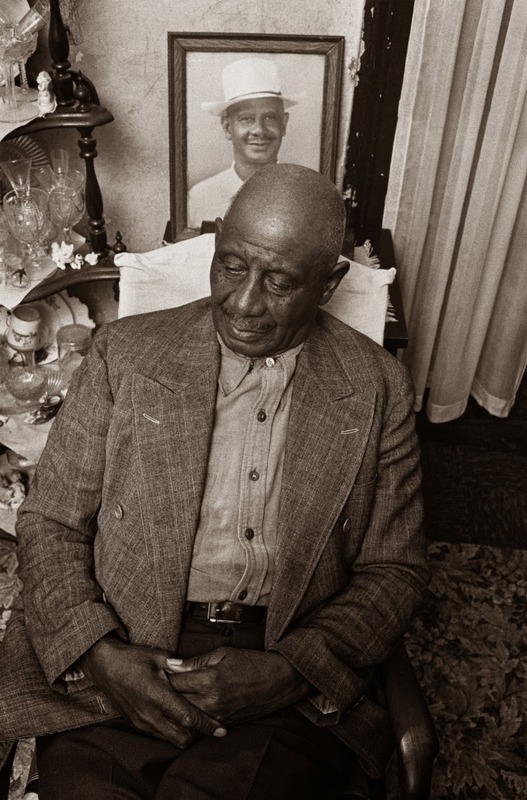 In his portraits the musicians—most of whom didn’t have the chops to follow Joe Oliver and Louis Armstrong north to Chicago forty years earlier—stare wistfully into the distance, or at the wall, as if indulging in some bittersweet private nostalgia. Many sit beside old family photographs, including pictures of themselves as young men. Some are photographed with their instrument, which they hold impotently, or rest in their laps. Their apartments are spare and poorly lit. There is dignity in these portraits, to be certain, and pride, but there is also despair." It is refreshing to focus in on Friedlander's accomplishment as a portraitist just because it upsets somewhat conventional views of his work. But there are other images as well, and these bring me back to the Hobsbawm review I mentioned at the start. "This sense of melancholy also shadows Friedlander’s photographs of performances. 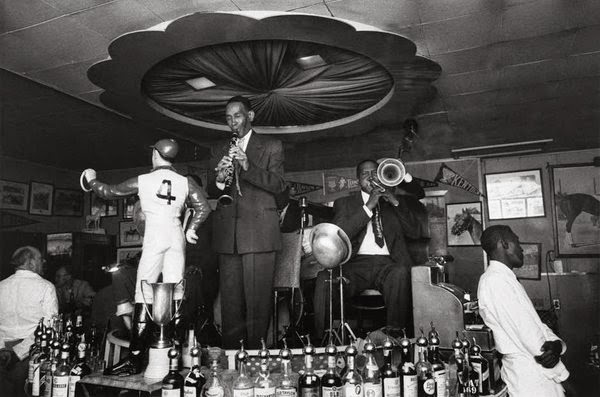 When George Lewis’s band plays a Bourbon Street tourist trap called the Paddock Lounge, the ceiling is so low that he almost has to duck, and nobody else in the frame—a patron, two bartenders—seems aware that they are in the presence of jazz royalty, an impression that is amplified by the insulting presence of the lawn jockey posing directly in front of Lewis. There are no audience members, for that matter, visible in most of the performance pictures, giving the impression that the musicians are playing for themselves." Just so. And the portraits of elderly musicians capture part - surely, only part - of what trails behind their pursuit of so demanding and ultimately so isolating a profession. Photographer Lynne Cohen has died. An brief announcement is here at Canadian Art. A young French photojournalist, Camille Lepage has been killed while working in the Central African Republic; as this report at The Guardian suggests, the details of her death remain murky. I do not know Le[age's work, but her death underscores how dangerous it is to work in zones of civil conflict. 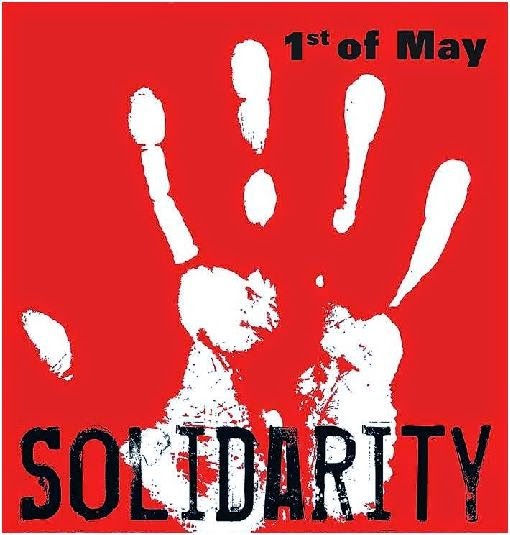 Update: I recommend this typically thoughtful post by Chris Bertram at Crooked Timber on the need to recuperate May Day in practice and in spirit.